Are you a detail oriented person who is organized and great at taking notes? If so, this may be the position for you. 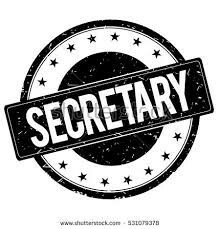 Our league secretary is responsible for attending our monthly board meetings (2 hours), preparing minutes from the prior meetings and assist the President with creating agenda's for the upcoming meetings. This individual also is responsible for monitoring and checking our general league email in-box and distributing/forwarding any emails to the appropriate individual(s) who are best suited to answer any questions the secretary cannot answer. This position is a Board of Directors position that is up for election every even year. Next election is after the 2018 summer softball season. Volunteer Time Commitment (est): 3 to 4 hours a month (Oct. - July).